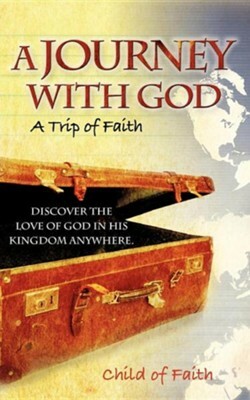 This is a Journal of a trip of faith with God. This trip took place in various parts of the world. One thing in common, among all of the stages of the trip, was God's presence before, during, and after the trip. This book is not fiction or a story of coarse confession. It is not a conversion of convenience, either. It is a gathering of true stories of interactions with God and a pure choice of unconditional acceptance without ambiguities; the Word of God in a non-contradictory manner. The search took me around the world until God's plan came. The love of God not only enhanced my spiritual experience, but also made me eager to serve His Word. The Son of God came to guide me throughout this Journey with His wisdom and love, to complete my salvation. The author holds a Ph.D. in Chemistry, Masters in Chemical Engineering and Masters of Business Administration from well-known universities. This child of faith lived and traveled through the Middle East, Europe, Africa, United States, Latin America and other places searching and learning about the true God. The search was a personal endeavor to compare and test all the stories about God and His son. The journey is a summary of the daily struggle between facts and fiction and scientific evidence of the eternal life and living the Word of God. The author lived among different nationalities and continents to conclude God is one anywhere you live, He is there, and the Holy Spirit surrounds his children serving and dialoging, through prayer, with God. I'm the author/artist and I want to review A Journey with God.